Fashionista’s take “street style” very seriously. Especially when you’re expecting to be snapped or papped. And Telstra Perth Fashion Festival was the perfect place for just that. Forrest Chase was filled with camera toting bloggers and photographers, eager to snap the latest trends on those who live and breath fashion. Being the chilled out chick I am I will admit I struggled to choose an outfit for TPFF, because I knew the fashion stakes would be high and it was a given that people would be discussing who and what everyone was wearing. But I must have done okay because I was snapped on these three blogs in my “fashionista on a budget” garb. This skirt was a fantastic find whilst op-shopping a few weeks back. 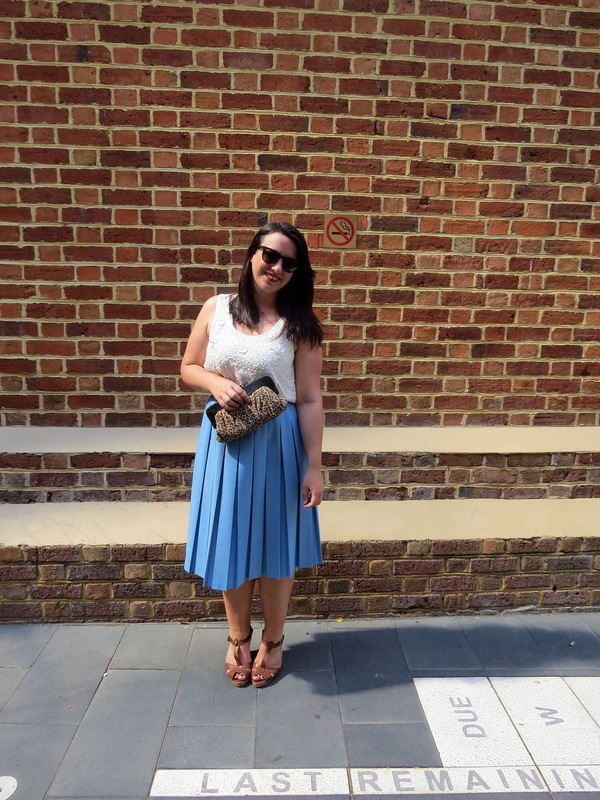 I don’t op shop very often, but when I do I always come home with a wonderful vintage piece like this blue midi skirt. The pleated, lady-like skirt was discovered in the plus sized section of Good Sammy’s and luckily I followed the golden rule of vintage clothing (never trust the size) because the skirt fit perfectly, even though the size on the tag was completely random. I can’t tell you how old the skirt is, but it is in wonderful condition and at $4 it is probably my favourite purchase of late. Especially because midi skirts are so big this season! Paired with a sparkled crop top (tucked in of course, my belly is not crop top ready) and neutral wedge heels I was super comfortable and this was the perfect outfit to face a long day of wonderful fashion and socialising. This is the blogger life after all. Hahaha. What is your favourite trend of the season? Big thanks to the lovely Vanessa of Nezuki blog and Sita of Precious S2 Photography for the photography. that midi is so cute on you!! 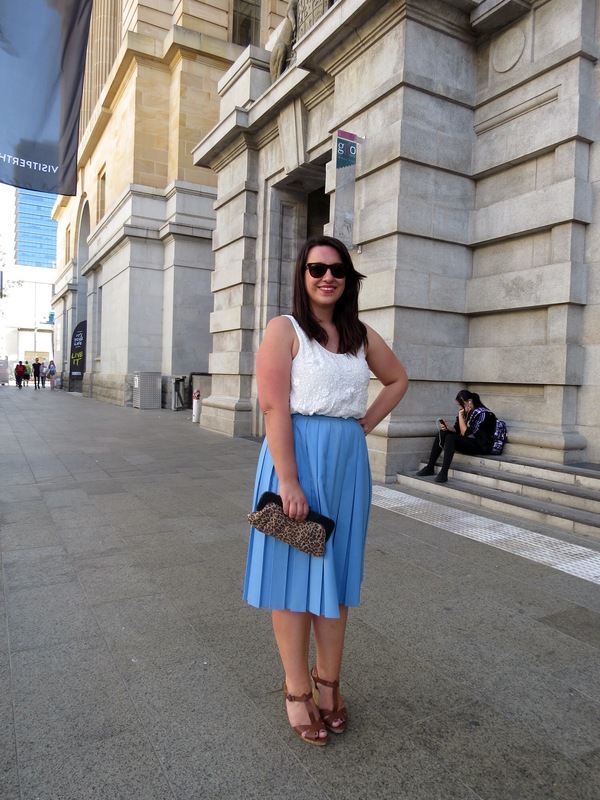 Beautiful blue skirt – you are a real bargain hunter !! My pleasure! I’m glad that you ended up using these….I still haven’t published mine haha! Beautiful outfit, especially the skirt! I love, love, love that skirt! I tried a similar vintage one on recently but it wasn’t as fab as yours.